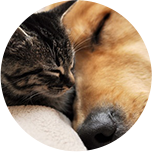 DCA was established to provide Seattle pet owners with the only veterinary dermatology and allergy specialty center. DCA is also partnered with the Washington State University College of Veterinary Medicine and helps train senior veterinary students. We are conveniently located in South Lake Union, two blocks North of REI, with free parking available. At DCA, we specialize in the diagnosis and management of skin and ear infections, allergies, endocrine diseases, hair loss disorders, auto-immune and cancerous skin conditions, laser surgical procedures and much more. Explore our services and contact us to schedule an appointment. Each exam room is equipped with video-otoscopy so that clients can see the structures and health of their pet's ear canals. Allergies generally cause itching. The offending allergens can be pollens, molds, household allergens, insects, or foods. 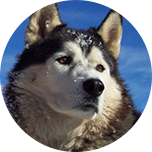 Dr. Mel is an Adjunct Professor of Dermatology for the Washington State College of Veterinary Medicine. He attended and graduated veterinary school from the Universidad Autonoma de Baja California, Mexicali, Mexico in 2007. He is board certified in veterinary dermatology. 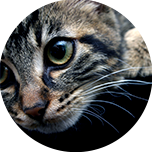 Dr. Mel has 8 years of veterinary experience. He worked in a large private practice hospital in the Los Angeles area before beginning a one year internship, followed by a 3 year residency in veterinary dermatology at the University of Tennessee.